Leading global value added reseller (VAR) for SAP Business One acquires non-exclusive intellectual property (IP) rights from Variatec for leading project manufacturing software solution for SAP Business One. London, England — September 22, 2016 — Vision33, the largest global VAR for SAP Business One®, today announced that it has acquired the non-exclusive intellectual property (IP) rights to Variatec’s solutions for project driven and service companies using SAP Business One. This solution portfolio includes VariAdd Project, VariAdd MRO and TMC products. Vision33 will continue to actively develop and support these solutions through its global team. Mr. Todd Eavenson has also joined the Vision33 team as Practice Lead specific to these solutions. All SAP Business One customers currently using VariAdd solutions and/or TMC products will be fully supported by Vision33 and will experience no interruptions. 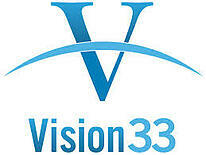 Going forward, the solutions will be re-branded by Vision33 and made available exclusively to Vision33 customers. ‘Vision33 is committed to helping businesses leverage transformative technologies to meet their goals, says Neil Feingold, Vice President, Vision33 Europe. 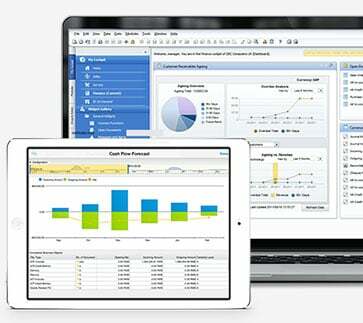 ‘That is why Vision33 continues to invest in proven successful solutions for SAP Business One. We are able to provide our customers with a single global partner to manage all of their enterprise resource planning (ERP) software needs - irrespective of their industry’. Vision33 has included Variatec products as part of its SAP Business One offering to project driven companies for years. The customers using these solutions successfully represent a variety of project driven industries such as machine and equipment manufacturing, engineering, high tech and more. The Variatec products provide SAP Business One customers with project-based coordination between materials, capacity and planning, and the tools to manage those components within budgets and delivery times. ‘Many of our global customers in the discrete manufacturing industry presently leverage VariAdd MRO as the manufacturing solution to run their operations’ states Alex Rooney, Vice President, Vision33 US. ‘By acquiring the Variatec IP, Vision33 is better able to service these customers. We can leverage our global team of Consultants to continue to build on this solution and meet the demanding and changing requirements of project based industries we have in-depth expertise with’. Vision33, a member of the Group zed family of companies has access to extensive expertise in solutions development, providing add-on products and custom developed solutions to fully leverage the transformative power of SAP Business One. To learn more about Variatec as well as other business management solutions offered by Vision33, visit www.vision33.co.uk. SAP, SAP Business One and other SAP products and services mentioned herein as well as their respective logos are trademarks or registered trademarks of SAP SE (or an SAP affiliate company) in Germany and other countries. See http://www.sap.com/corporate-en/legal/copyright/index.epx for additional trademark information and notices. All other product and service names mentioned are the trademarks of their respective companies.